One of the best ways to make your event more fun and memorable is to have personalized booths. Your guests will love the experience and have a perfect souvenir to remember their amazing night. I have come up with a couple ideas for the perfect booth depending on your night’s theme. Always a fun idea for any cocktail night would be having a signature cocktail of the night with an engraved cocktail glass station connected. 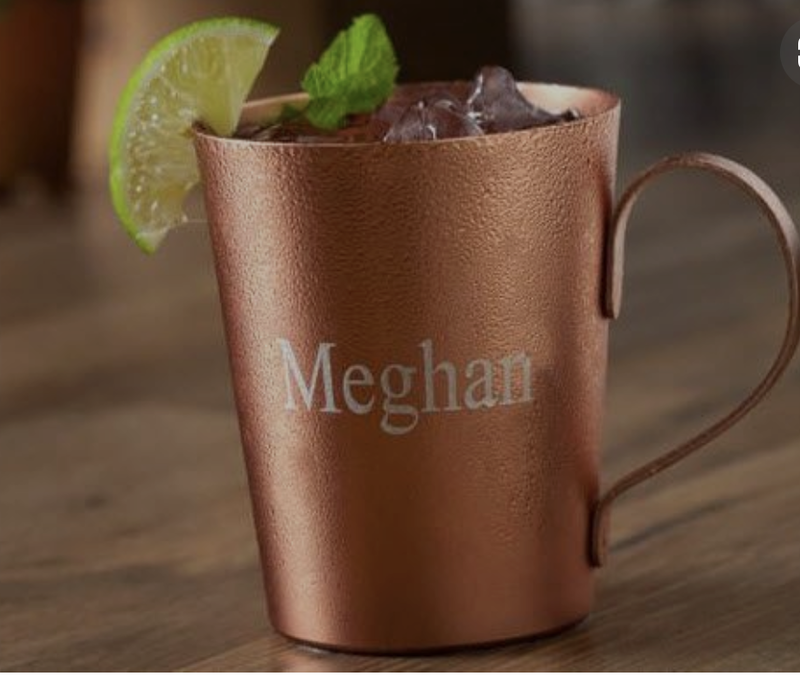 If you order the cocktail of the night you can get an engraved mug to drink from! This is a fun way to promote your alcoholic sponsor as well as boost the nights preferred theme. For a day event you can never go wrong with a personalized bandana station. They are cute, stylish, and can be used in so many different ways. Throw it around your neck, in your hair, or get it for your dog; they are all cute ways to remember an event. A couple of our other favorites would be a personalized travel tag and a personalized make up bag. Either are a perfect on the go accessories that are sure to be a hit. You can even take the personalized make up bag to the next level with a make up station to fill your new bag with goodies.